Beers? Well, there’s no such thing of course! 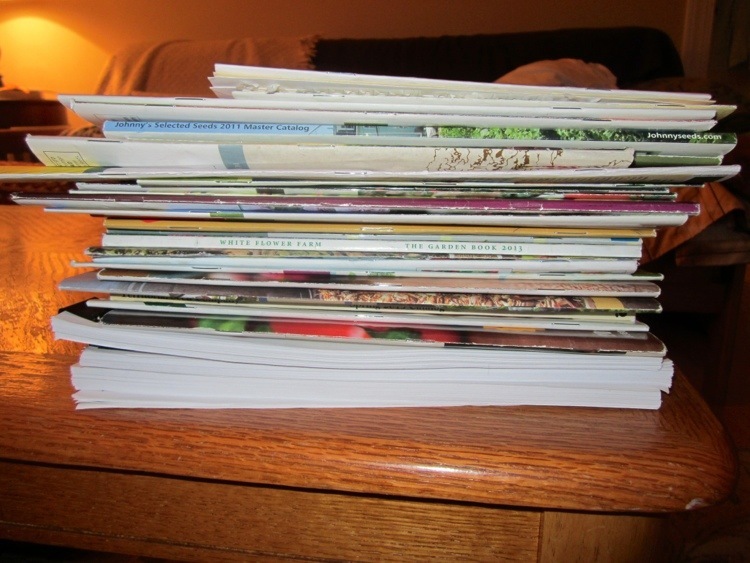 Naturally, the DreadBrewer denies that this is too many seed catalogs. He also insists that there are at least 3 more that he has to consult before he can order the seeds and plants for this year’s garden. 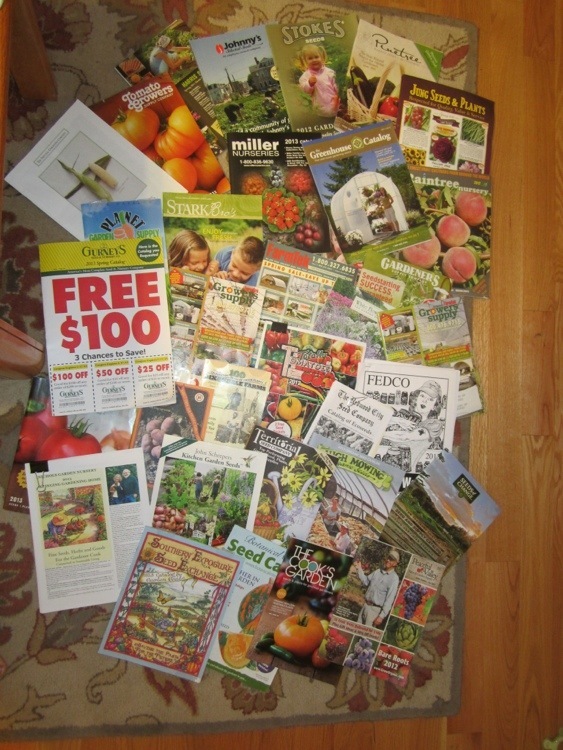 I insist that if I have to spend one more day digging through and around the piles of seed catalogs to find such extraneous and unnecessary things as my wallet or my phone, I may “accidently” throw them away. This entry was posted in Gardening and tagged Cultivar Snob, DB, Garden Planning, Seeds by BrewsterMama. Bookmark the permalink.